Organisms have evolved an array of life history strategies that reflect the tension of maximizing fitness in a world beset with predators, parasites, and hostile environments. 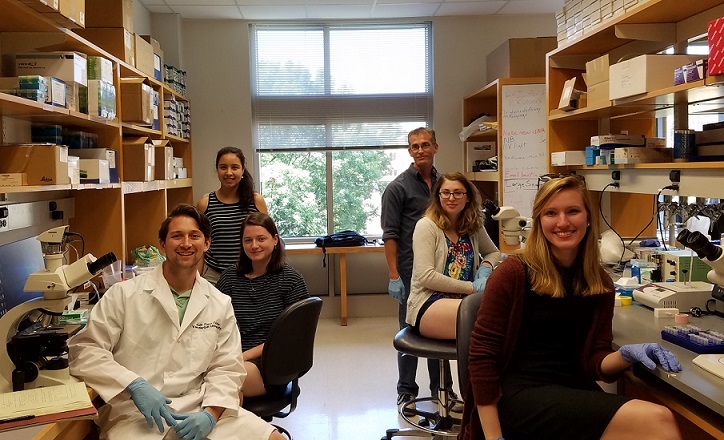 In the Tate Lab, we are particularly interested in understanding the impact of parasites on the evolution of immune systems, and the conflicts that arise when organisms need to balance investment in immunity with other life history traits. To this end, we couple theoretical approaches with experiments on tractable beetle systems to explore the causes and consequences of variation in both infection and immunity at the molecular, organismal, and population levels of biological organization. Please see the “Join Us” page for general and specific opportunities to join the lab!